Last Christmas I gave you my I got a little grief for likening listening to Smooth Christmas (RIP) to being ‘handcuffed to a radiator in Clinton’s Cards’. (Sorry Chris). Well this year, there’s a station so festive, it that said or sung the word ‘Christmas’ 72 times in 20 minutes. Listened In is 2ZY’s regular air-check blog. We listen to a random twenty minute sample of a station or programme in the news. WHO I don’t know. She never told me. And there are no presenters on the website. WHAT Ireland’s Christmas station, Christmas FM. .. if not the magic of typography. PSA: Aware Life Skills programme. PRODUCTION: FVO: What happens back at the North Pole when Santa’s travelling around the world? ELF: Well Hello Elves, Santa’s Gone! MVO: Irelands Christmas Station. (Elf punchline lost under intro of song.) FVO: Christmas FM. “And that’s Barry Manilow there, There’s No Place Like Home for the Holidays. 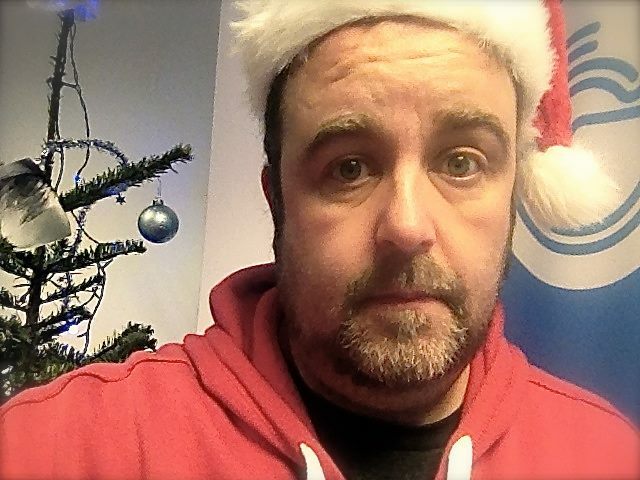 It’s Ireland’s Christmas Station, Christmas FM. And it’s nearly that time again. But again, I would love to hear from you, so please do get in touch, I’d love to hear what you’re up to, or if you want to make a dedication, or just say hello to somebody, all you have to do is text XMAS, that’s X, M, A, S followed by a space and then your message to 50300 and texts cost €2 but the full €2 goes towards the incredible work of AWARE. And we would like to thank everyone who has been in touch with us from all across Ireland, sending text messages and every cent of that €2 as I said, goes directly towards the work of our charity partner for 2013 which of course, is AWARE. And from outside Ireland, you can send your Christmas message from our website, on ChristmasFM.com and if you’d like to donate from anywhere else in the world, and help to support AWARE, you’ll find the Donate button on the website too. PRODUCTION: FVO: Christmas FM MVO: Ireland’s Christmas Station SUNG: Christmas FM VOX: How you doin’ my names (indecipherable against bed) an’ my favourite song is Jingle Bells. Hello, my name is Mary from Athlone and my favourite Christmas song is Fairytale of New York. Hi, my name’s Ken from Dublin and my favourite Christmas song is Jona Lewie, I Wish I Was at Home for Christmas (sic). MVO: This is Christmas FM, Ireland’s Christmas station. Brought to you by Vodaphone. For all the music you’ll ever want. Vodaphone. Joint Sponsor 2013. “That’s Tony Bennett there, with Antonia Bennett and I’ll be home for Christmas. Another Christmas classic, oooh, getting us one step closer to Christmas, isn’t it amazing? Err, I just can’t get over how close it is, ‘cos it’s kind of just crept up on me I think. Now we wanna get through some text messages. (Cheesy recorder bed) I want to say hello to Audrey’s sister who is listening in Denmark would you believe? So, a big, big Happy Christmas to you and thanks for listening in from over in Denmark. Also hello to Kian McEvoy who’s getting so excited and counting down the days to Christmas. He’s, arr, that’s from Mam, Nanna, Grandad and Jamie. She says love you so much Kian. Hello Christmas FM, we’re driving round Dublin delivering presents – like Santa – thanks for bringing my Xmas tunes fix. Yuletide – and yes it’s spelled Y, U, L, E, T, I, D, E me over til Stephen’s Day, he said would love some Christmas Wrapping by the Waitresses or the Spice Girls. Thank you, and that’s from John, David and Avis Marry. PRODUCTION: SANTA FX: Ho ho ho (drumroll) MVO The good news is .. It’s Christmas time. Celebrate Christmas with the Christmas station. Christmas FM. Here’s a station with a purpose, at a special time of year. Christmas FM is back across Ireland’s main towns on FM to raise cash for the depression charity Aware, a terrific cause. It’s staffed by volunteer presenters, and cash is raised through text dedications. Listening for twenty minutes is like eating a whole chocolate orange in one go. The odd slice, fine. But when all you hear is Christmas, Christmas, Christmas, all you’re dreaming of is .. Twelfth Night. At least there’s enthusiasm. Un-named girl presenter (with a beautiful voice) gets ever more excited in each link. I think she’s going to burst before the week’s out, but it’s strangely infectious. John Myers is right on Christmas Music. Maximum one an hour a week before, two an hour from 21st, every other on Christmas Eve, fill your stocking on Christmas Day then off again at midnight for another year. Which clown programmes Driving Home for Christmas on Boxing Day?! But me and John are losing the battle. There’s no shortage of Christmas songs. Look at the breadth of music in this 20 minutes. 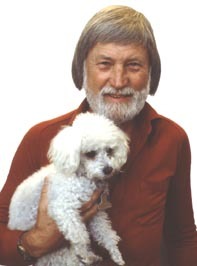 Ray Connif! There’s just a dearth of good ones. Which means you can either play-to-death the familiar (I’m looking at you, people who programme Wizzard from 1 December. OK in Asda. Not on actual radio. ); spice things up with a few well-programmed unfamiliar (typically non-hit Christmas standards by familiar artists. And Freiheit.) – or take the Christmas FM route of just chucking everything on the air. Again. Ray Connif! I wonder whether people leave their Christmassy-ed up regular station for the full-on saccharine rush of Christmas FM? Or whether it’s a P2/3 station for a quick hit of snowmen, world-feeding and Phil Spector? Either way it certainly has interaction, and for a good cause too. Bravo volunteers of Christmas FM, and I hope you raise zillions for Aware. I may even push your donate button myself. Just don’t expect me to listen any more. Just kidding. This entry was posted on Wednesday, December 18th, 2013 at 12:51 am	and is filed under Uncategorized. You can follow any responses to this entry through the RSS 2.0 feed. You can leave a response, or trackback from your own site.